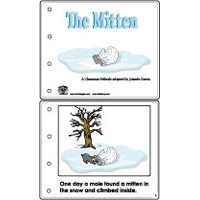 The theme Animals in Winter engages children in a series of activities and games that teach about animal behavior in the wintertime. 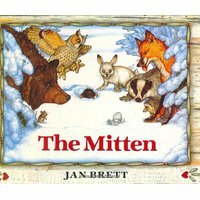 Hibernation and migration are two concepts that children explore through puppet shows, literacy, songs, movement, and rhyme. Animals include bats, bears, birds, badgers, deer, geese, foxes, frogs, ladybugs, monarch butterflies, snakes, turtles, and more. 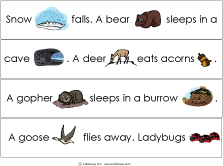 In addition, children have opportunities to pick up animal habitat vocabulary such as burrow, cave, den, and nest along the way. 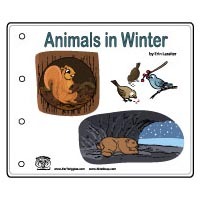 Discuss and review information about animal behaviors in the winter learned from read-aloud Animals in Winter books. 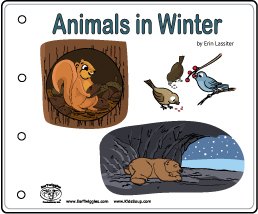 Let children point out animals that sleep for all or part of the winter and other animals that migrate to warmer places during winter. 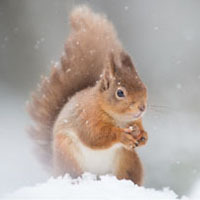 * some animals that live in cold northern climates move to warmer southern climates during winter. Point out cold areas in the north and warmer areas in the south using a globe. 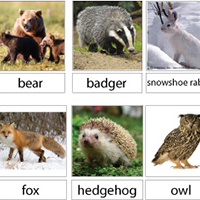 Explain that many animals that migrate have wings which help them to move quickly from one place to another. 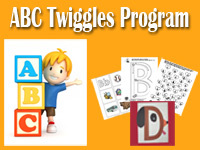 They include several bird species and even butterflies. 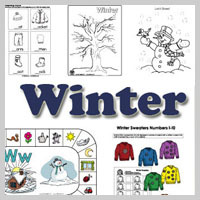 Use the word wall cards as children learn about the different ways the animals behave during the winter month. Cover a table with a brown bedsheet or blanket. 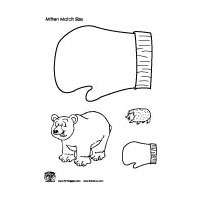 Let children pretend to be bears getting ready for winter. 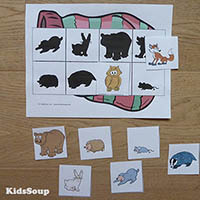 Set out a small box with flaps cut off and four bear cut-outs in different colors (red, yellow, green, brown). 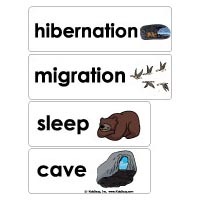 Discuss with children that many bears hibernate in a cave during winter. Instruct children to cover their eyes. 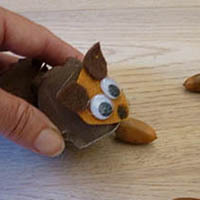 Then, cover one or two bears with the box. 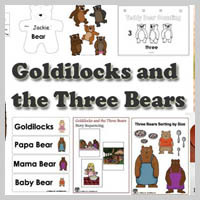 Have children open their eyes and name the missing bear(s). 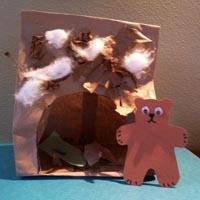 Make a bear cave out of a brown paper bag. You are a migrating goose. 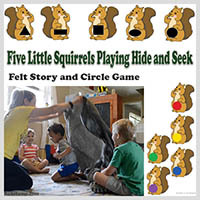 You are a skunk preparing a cozy den. 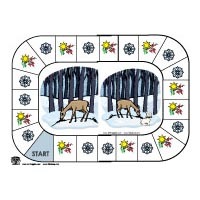 You are a deer looking for food. You are a butterfly flying south. 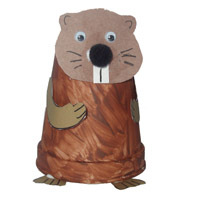 You are a hibernating gopher. You are a bear sleeping in a cave. You are a frog asleep in the mud. 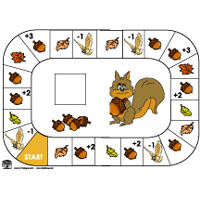 You are a squirrel eating nuts. 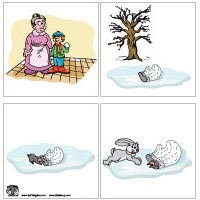 How do birds keep warm in the winter? On cold, wintry days, most birds fluff up their feathers, creating air pockets, which helps keep the birds warm. The more air spaces, the better the insulation. Some birds perch on one leg, drawing the other leg to the breast for warmth. 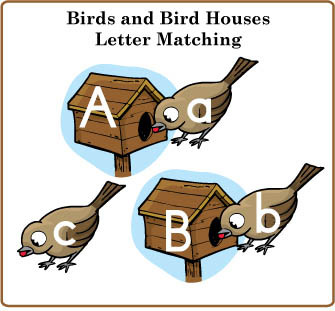 To keep up their high metabolic rate, most backyard birds eat rich, high energy foods such as seeds, insects, and suet. 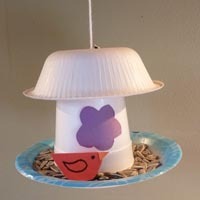 Sprinkle some bird seeds inside a plastic plate or on a piece of white felt. 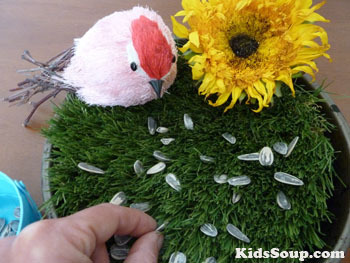 Let children pretend to be birds by using their index finger and thumb to pick up the seeds and place them inside a container. In much of North America, winter can be a difficult time for birds. 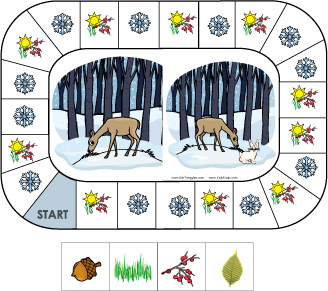 The natural food supply has been consumed or is hidden by snow. Most insects are dead or dormant and water can be hard to find. You can help feeding birds in the Winter with your own homemade bird feeder. By putting up a bird feeder in your yard, you can attract birds and you will be able to enjoy watching them and seeing them feed. 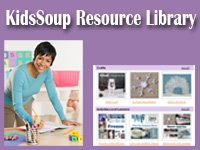 Help your children decorate a tree in your yard or decorate a handful wintry branches with peeled apples, pinecones rolled in peanut butter and birdseed, beef suet, fresh cranberry garland, carrot slices, stale bread, and orange slices. 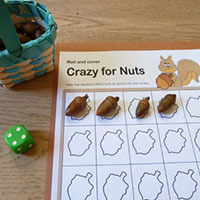 Here is another idea for a simple bird feeder. 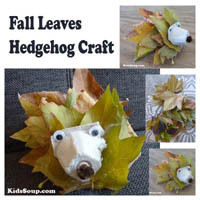 Visit beneaththerowantree.blogspot.com for instructions and tutorial. Materials: Big pipe cleaners and Cheerios. 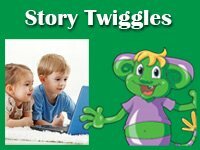 Make a knot or a hook to one end of the pipe cleaner and have children string Cheerios until one inch from top on the pipe cleaner. Bend the end of the pipe cleaner so Cheerios stay on. Hang from a tree branch for birds to enjoy. Tie a string to each pinecone. Mix shortening and cornmeal or oatmeal into a spreadable paste. 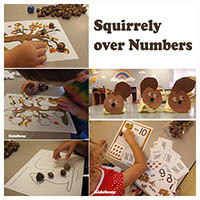 Let each child use a craft stick to spread the shortening mixture onto a pinecone. 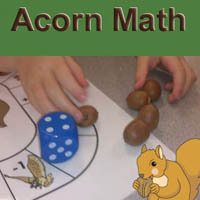 Then, have him/her roll the pinecone in birdseed on a paper plate. Hang the pinecone feeders from tree limbs and take time to observe the birds as they visit for a meal. 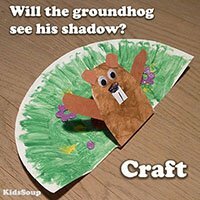 Sunflower seeds are a great overall seed to offer in the winter. 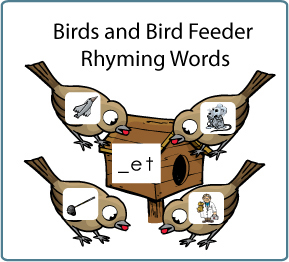 Feeders should be located out of the wind. Food is hard to find. Till the spring has come. Scatter birdseed on the snow. Don't Wake Up the Bear! 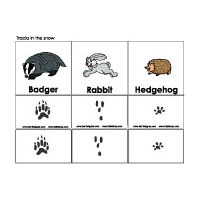 Hibernation (Patterns in Nature series) In the Snow: Who's Been Here?